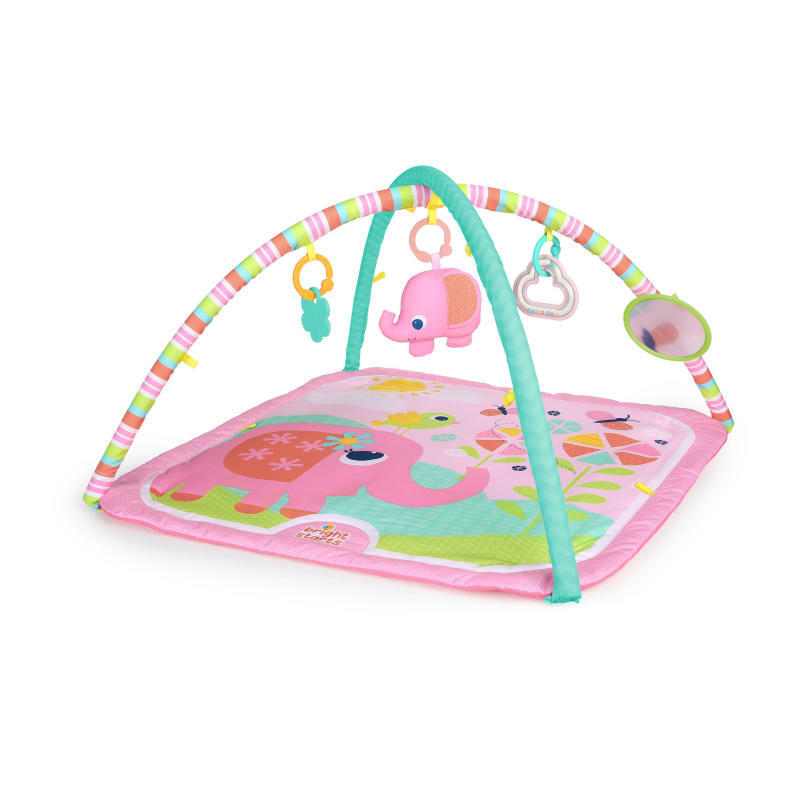 The Bright Starts™ Pretty in Pink™ Fanciful Flowers™ Activity Gym is full of floral fun for your baby girl. The plush elephant toy features sweet chime sounds. Additional toys include a flower toy, baby-safe mirror for self-discovery, and cloud-shaped rattle, making this the perfect sweet spot for baby girl to play! Toys are easy to remove and attach to carriers, strollers, diaper bags and more with the 3 attachment links.